Who couldn’t love fairy cakes? These cute little sponge cakes are a smaller version of a cupcake – they are in essence the dainty version of their American cupcake cousins. The cakes are very popular in England and are traditionally made using a lighter sponge (think the texture and ingredients’ of pound cake) as opposed to the thicker batter used in cupcakes. They are half the size with a lot less decoration, just as cute, and it is safe to say, it is the sponge that is the star, not the ‘frosting’. 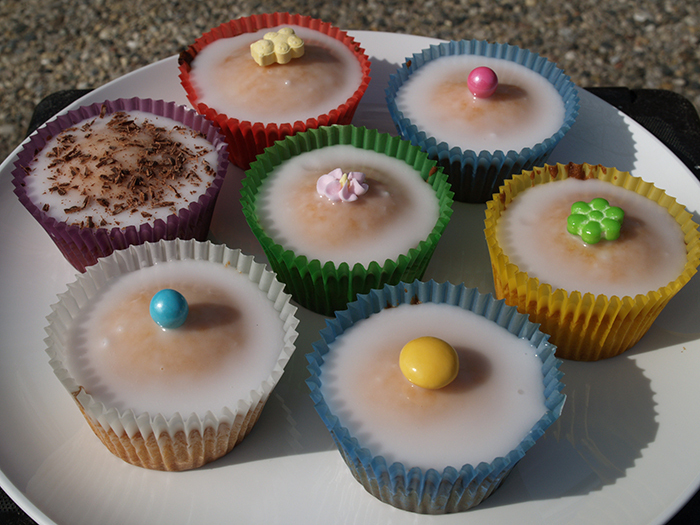 Fairy cakes are perfect for parties, and are easy to make. Just keep the sponge nice and light, and the decoration simple – they never fail to make people smile.